From the moment you step into one of these Captiva Island, Florida vacation homes you will experience tropical Florida charm. Decorated and furnished in tropical Florida styles, these Captiva Island vacation homes offer sublime vacation enchantment. Quiet, serene and integrated with nature Captiva Island vacation homes represent the "olde Florida" charm in the new commercial world. Stroll about in the gardens, where lush surroundings and the beach will convince you to come again and again to Captiva Island, Florida. This vacation choose from boating, boat rentals, boat charters, fishing guides, ECO tours and a lot more in Captiva Island, Florida. 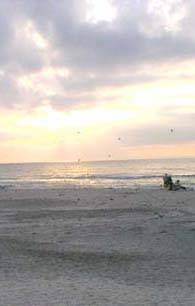 For this vacation collect shells at one of the finest shelling beaches in the world; visit some of the "eco-parks" or just spent some time on the trails at some of the beaches and remote islands found near Captiva Island vacation homes.